FAIRFIELD, Conn. – Nov. 5, 2018 – North America’s premier equine exposition and gathering will be held in West Springfield, Massachusetts, Nov. 8-11. The four-day event is an opportunity for horse enthusiasts to experience one of the largest equine-related events in the country, including a trade show, educational events, breed exhibits, demonstrations, top clinicians and more. The Intercollegiate Horse Shows Association (IHSA) will be on-site to educate college-bound students and their families about the opportunities to ride and compete in college. IHSA is open to men and women of all riding levels in the hunter seat and Western disciplines. The organization provides students with the opportunity to ride and compete during their college years without the expense of horse ownership. IHSA will have an information booth located in the Better Living Center, booth #917. C.J. Law, the successful head coach of the Mount Holyoke College riding team, IHSA team members and representatives from IHSA will be at the booth to field questions. One of the top coaches in the nation, Law guided the Mount Holyoke team to three IHSA National Championships and has led multiple students to Cacchione Cup honors. In May 2018, her student, Mollie Kowalchik, was the Cacchione Cup reserve champion. She will be featured in an upcoming issue of Practical Horseman magazine. This year, Equine Affaire will present a College/Career Fair Saturday, Nov.10. It kicks off at 10 a.m. with a presentation, “Matching Equine Interests with College and Career Options.” It will be followed by the College/Career Scavenger Hunt Saturday that will run from 10:45 a.m. to 3:45 p.m. The Scavenger Hunt is an engaging way to meet a variety of industry professionals and college representatives and win fun prizes. At 4 p.m. there will be a College/Career panel discussion in the Equine Fundamentals Forum demo ring. Register in advance here or check in starting at 9 a.m. at the Equine Fundamentals Forum in Mallory South. The Intercollegiate Horse Shows Association (IHSA) welcomes men and women of all riding levels and offers individual and team competition in hunter seat equitation, Western horsemanship and reining at more than 400 member colleges and universities. Membership in IHSA means that college students can participate at horse shows regardless of their experience or financial status. Students compete at eight levels from beginner through advanced with suitable, provided horses, eliminating the expense of horse ownership. 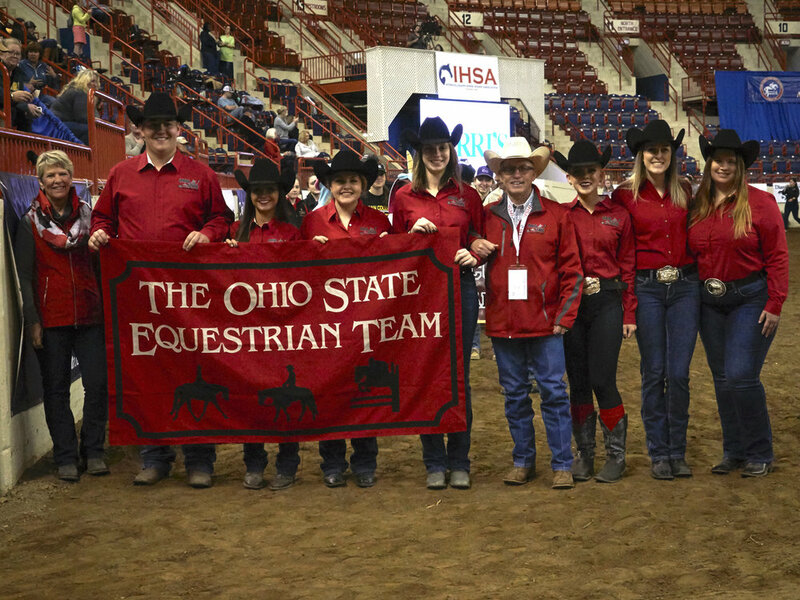 Founded in 1967 by Bob Cacchione, it is the oldest and largest intercollegiate equestrian organization with 10,000 members in 47 states and Canada. IHSA college and university team participation is represented through a variety of programs including varsity athletics, academic departments and club sports. IHSA offers valuable hands-on experience and professional development in multiple facets of the equine industry. Many IHSA teams participate in service projects, giving back to their communities. Through the IHSA, students enhance their college experience and develop the tools that help to build successful careers.